One key aspect to picking a great theme song for TV shows, make sure it will get stuck in the viewers’ head. There are many ways to make a band famous, and there are many ways to make their songs number one. 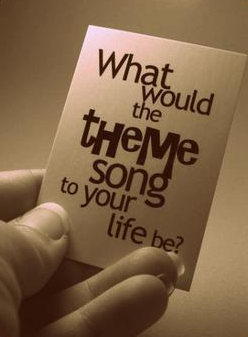 Sometimes if we’re lucky enough, we get to hear those famous songs every week as a theme song. You might think that a theme song isn’t really important to a show, but could you imagine iconic shows such as: Friends, Fresh Prince, and Scrubs with out their theme songs? Any song can be a theme song, but not many of them can shape a show. I can’t be the only one who still sings the Friends theme song, am I? If a theme song isn’t important, why do you remember them so much? When you hear this song, you’ll feel you’re with your friends and you’ll immediately start singing. This song reminds us that Will is not only a good actor, but a good rapper too. And we’re pretty for many, this is the first time they ever rapped. Remember, two can keep if a secret if one of them is dead. Throw way back to Malcolm In The Middle, and for some reason you couldn’t stop singing along to this classic. Doesn’t this song still come to mind when you visit the doctor? To this day, this song is still great, and brings you back the good years for a moment. Part of the reason why we love this show, is because of the theme song. It’s also fun and educational. The O.C. and this song is one in the same. “California” was the back drop for a show that was a Thursday night must for any girl. I guess when you’re in jail, all you’ve got is time. Stuck in the middle of dinner with the characters from this show, it would not be bad at all. With this song, I know that nothing bad can happen to me and someone will be there to save me. This band does not need a TV show to be any more famous than they already are. But I’m glad CSI chose this one! A really good and strong song. Only to match a strong TV show.